In the winter, there is a wine from Italy that really seems to fit the mood of the day. A wine that is contemplative and warming. It comes from the Northeastern corner of Italy, in the Veneto. I am talking about Amarone. The region of the Veneto was discussed in earlier articles on Soave and Prosecco. 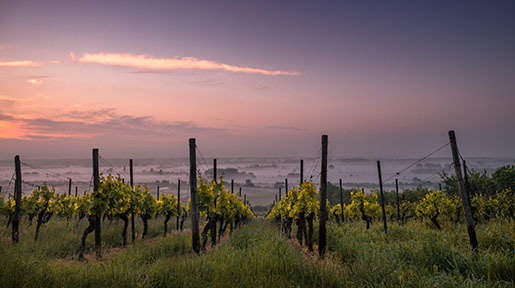 Amarone is one of the most famous big red wines that are produced in Italy, but surprisingly enough, does not have a long and storied history. To understand Amarone, one must first start with the wine of Valpolicella. Valpolicella is the name of a valley in the Veneto. The name literally means “valley of many cellars.” Wine has been made here since at least the time of the Romans. The red wine is based mostly on the Corvina and Rondinella grapes and like the valley is also called Valpolicella. It is a nice easy to drink red wine that was popular with the locals. Simultaneously, or perhaps even earlier, a sweet version of this wine was being produced called Recioto della Valpolicella. It comes from the same area, is the same blend of grapes and dates back to Roman times. The Romans developed a process known as appassimento, for making a sweet wine. This means the grapes were cut from the vines and left to dry out in the sun on straw mats concentrating the sugars in the grapes as the water evaporated. The shriveled grapes were then fermented. The yeasts would die off before the sugar had been completely fermented, leaving a sweet wine. The name Recioto is thought to come from a local dialect for the Italian word for ear which is orrechie. In the local dialect the word is recie. This was because the grapes used for the wine were supposedly only the top corners of the bunches or the “ears” of the clusters. These are the part of the bunch that gets the most sun and are the ripest and most mature. At some point in history, a long forgotten producer somehow overlooked, perhaps intentionally, a barrel of their Recioto and it continued fermenting. For some unknown reason the yeasts did not die and the wine had fermented completely dry. Like many happy accidents, the wine was worthy of drinking. The style became known as Recioto Amaro. Amaro meaning bitter because of the tart, raisiny flavors the wine had when dried. Eventually the full name of Recioto della Valpolicella Amarone or Amarone della Valpolicella became more proper. Usually today, it is simply referred to as Amarone. It is a very fascinating wine. Amarones have been commercially sold for only about 50 years. The first producers were Bolla, Masi and Bertani. As you might imagine, the labor involved ensures that it is made in small quantities. The wines age quite well and properly stored bottles produced in the 1960’s are still holding up quite well. Today, the wines continue to be made very much in the long-established way. The grapes are harvested in early October. They are spread out on the graticci or straw mats. In truth, many producers now use plastic racking that is stackable but allows air flow between and over each grape. Approximately 30 to 40 percent of their weight evaporates during the three to five months that the grapes are left to dry. The grapes are not raisins at this point as they do still contain enough moisture to turn them into wine. Like most areas of the world there are some Amarone producers who rely on technology to help nature along. Allegrini and others use drying rooms that are temperature and humidity controlled. Other producers still just place the mats in their attics or on the top floors of their barns where the natural climate dries the grapes slowly and consistently. The producers have Lake Garde’s temperate environment to thank for this, although most producers will at least utilize fans or dehumidifiers. Once the grapes have reached their desired level of sugar, they will then be crushed to release the grape’s juices and allowed to ferment. Most, but not all producers, use specific strains of hearty yeasts that allow the wines to ferment completely dry. The resultant wine is usually high in alcohol levels, typically 14 to 17%. 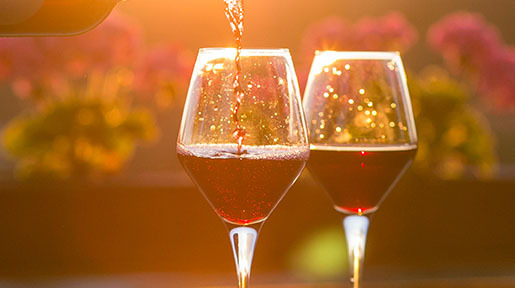 The key to the wine is that when the grapes lose moisture, the sugar to liquid ratio rises but the acidity in the wine seems to remain constant. The resulting wine is intense and concentrated with lots of fruit. The wines can run the spectrum of styles. At one end are the thicker syrupy wines that seem to have an air of sweetness about them even though they are technically bone dry. Their sweetness comes from the texture and the ripe fruit. At the other end are wines that taste more of dried fruit and elegance. They are less hedonistic and more contemplative. The differences arise from a variety of production factors. The choice of grapes used for the blend is important. 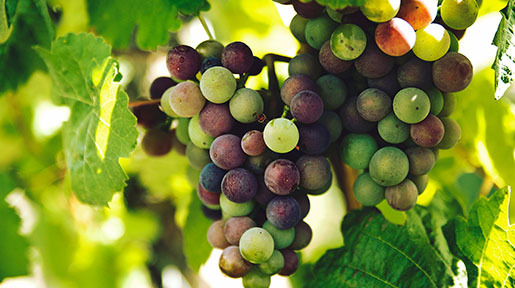 Some producers allow their grapes to ripen more fully on the vine. The length of time that the grapes are left to dry, between three and five months, has an effect. Another factor is how the wines are aged, once vinified. Traditionally the wines were aged in huge old wooden barrels. This was a time consuming process that allowed the wines to partially oxidize while waiting for the sugars to ferment dry. The large amount of wine took a much longer time to ferment dry. During this time the barrels allowed oxygen to penetrate the wine at an uneven rate. Some producers turned to stainless steel and specialized yeasts to have greater control over the process. Eventually a modernization movement arose utilizing small wooden barriques (as in Barolo). These allow a faster rate of fermentation and are usually made from new oak. The result is the wines finish quicker and are fresher wines. Even for those who prefer a minimal use of oak in their wines, the heartiness of the Amarone wine is one that can stand up to the new oak. One controversial issue is botrytis. Botrytis cinera is a mold that attacks grapes. In some areas (the Sauternes district of Bordeaux France for example) it is called noble rot because as it consumes the tartaric acid in the grapes it creates glycerol. 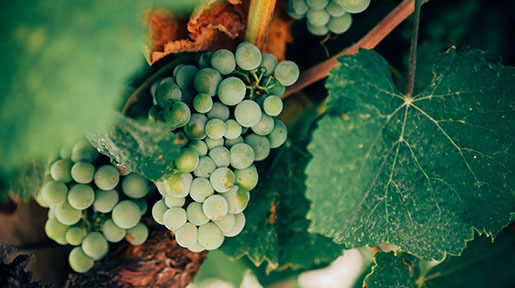 The resultant grapes are high in sugar and create thick and luscious wines. In some white dessert wines botrytis is not only desired, it is essential. In red wines, however, it is usually unwanted and unusable. It is more prevalent in the lower lying areas with higher humidity than those wines made in higher altitudes. The opinions of the producers vary as to whether botrytis is harmful or even beneficial. Producers such as Allegrini go to great length to prevent their grapes from being exposed. They feel that the wines are too sweet with not enough structure to last a long time. Tedeschi prefers the smoky notes he finds that the botrytis provides as well as making the wines slightly softer. There is no specific DOC for Amarone as such. The actual DOC designation is Valpolicella or Recioto della Valpolicella Amarone. This DOC was created in 1968. Amarones must also be aged for 25 months. They are always dry red table wines. The grapes used include Corvina veronese, 40-70%; Rondinella, 20-40%; Molinara, 5-25%; Barbera, up to 15%; Negrara trentina and/or Rossignola and/or Sangiovese, 15%; other local red varieties, up to 5%. The main grape, Corvina, is a native grape in the Valpolicella region. It is dark skinned, meaty and tannic with lots of aromatic notes. Rondinella is also a local grape. It has a dark color and is added to the wines because of its color and lush body. Molinara is used to give the wines some acidity, making them more food friendly. There is a trend to use less Molinara as acidity is more preferred locally than for the international market. So what producers should you look for? Some of the better, more traditional producers include Alighieri, Bertani, Tommassi and Bola. There wines are ready to drink off the store shelves yet will certainly age well. They are very food friendly with a nice bite of acidity that compliments northern Italian cuisine. More in the middle ground might be a producer like Masi who makes wine of both styles. On the more modern end of the spectrum are Allegrini, Tedeschi and Thomas Bussola. These are wines that are firm and structured. They really need to be cellared to maximize their enjoyment. With 5 to 10 years of age or more, they provide complex wines that are great nearer the end of a meal. I have left out two producers who must be mentioned individually. Unfortunately, the prices for their wines have gone thru the stratosphere now obtaining over $200 or even more a bottle. The first of them is Giuseppe Quintarelli. He is on my very short list of the top winemakers in the entire world. Probably more of a traditionalist at heart, his wines also contain more than enough structure and stuffing to last seemingly forever. The Amarones are aged for six years in large Slovenian Oak casks before they are released. The wines are both intense and delicate at the same time. They are complex and magnificent. As for food, I would prefer to drink these on their own and ponder them. If your budget allows however, I am sure they will go great with food too. His Amarone is only made in great vintages. Sometimes Quintarelli will release a wine called Rosso del Bepi. This is essentially an Amarone that he did not think worthy of the title. Maybe not, but for most other producers it would be their star wine. Still a wine that could cost $100 a bottle, it is well worth it. In the other years his wines are released as Valpolicellas. These wines, it should be noted, are as expensive as most of the Amarones and probably better. The last producer is a former protégé of Quintarelli. Dal Forno Romano makes wines in a more modern style. Yet, after having studied under Quintarelli, he has learned a few of the master’s tricks. His first bottling was for the 1983 vintage. He is known for using remarkably low yields for his grapes and small new French oak barrels, which yield incredibly intense wines. I have not had any of his Amarones so I am not qualified to give an opinion on them. They retail for over $300 a bottle, and while I hope to someday try a glass, I have not as of yet had the pleasure. I have had his Valpolicellas (and dessert wines) though. Like Quintarelli’s these are Amarone in style and price. They are absolutely fantastic although in desperate need of cellaring. The 1997 vintage is still a couple of years away from entering its drinking window. Like most Italian wines, Amarones are made with to be consumed at the table with food. The fruitier more accessible styles go well with typical Venetian cuisine including pastas and game. The more intense wine call for a hunk of hard cheese at the end of the meal. I hope you will all go out and buy a bottle or two to try them. If you can find one that has been well store and has some age on it, all the better. If not, I would suggest that you decant the wine for a few hours before imbibing. Some of the better vintages that may still be available to look for include 1997, 1998, 1999, 2000, and 2001. Last month, I wrote about the white wines of Friuli because as summer approaches, many of us are on the lookout for tasty and interesting white wines. This month, I would like to continue talk about white wines from Italy, this time from their neighbors in the Veneto. In the last article, I discussed Recioto della Valpolicella Amarone . While most of the feedback that I received (and I love to get some feedback) was positive, apparently, there is still some confusion on differentiating Amarone from Valpolicella. Based on the name, such confusion is understandable. Although Amarone may be the superior wine, “simple” Valpolicella, however, is a wine worthy of its own discussion and understanding.